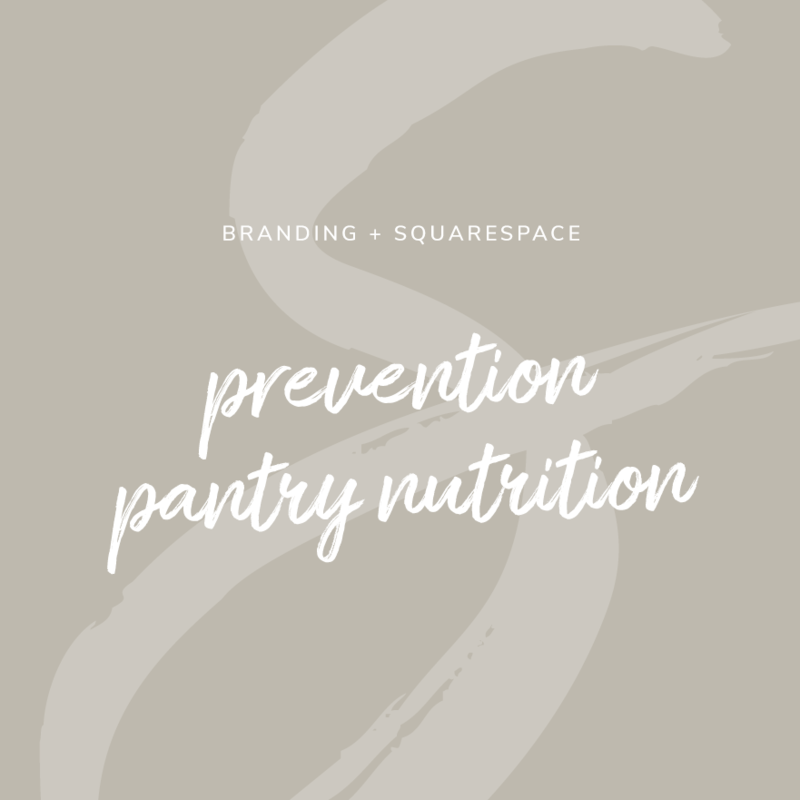 We recently debuted the fantastic new brand for Prevention Pantry Nutrition. Working with Jillian was such a treat...but a healthy one! We covered all of our bases, from a complete brand design, social media graphics to a customized Squarespace website. The brand design reflects a natural rustic vibe, with hints of greenery and citrus. With this fresh new look we came up with, Jillian will be able to take her blog to the streets and both inspire and empower healthy and mindful eaters with her nutrition expertise and recipe prowess. Her Squarespace website was a fun challenge to craft. I used the Bryant template to lay the foundation for a clever blogging platform. With the use of one blog and carefully tagging several categories, we harnessed the power of her content and created an entire Recipe Box section. This separate page filters out a summary of specifically tagged posts, allowing users to easily view and search for recipes. With some custom HTML and CSS as well as specially designed graphics, the online home for Prevention Pantry has a unique look for many recipes to come. Have a look at Jillian's brand and website below!